Hiring a realtor should net you much more than an MLS listing and a sign on your lawn. To get the most value from your biggest investment – your home – you need a partner who will invest in maximizing your home’s value. The bteam works with you each and every step of the process, from staging to fielding offers through close. We make sure selling your home is as hassle free as possible, taking all of the details and stressors off your plate. And if you are in the market for a home, the bteam takes the time to listen to your needs and find the right fit for you, no matter how long it takes. Whether this is your first or fifth house, we take the time to educate you about the current state of the market and we help you find the best fit and the best value. When you work with the bteam you will never receive pressure… we’re in this together. The principal and team lead for bteam, Brittany Brown was born to be a real estate agent. The joy of sharing knowledge with new and interesting people drives her to help buyers and sellers alike. Helping people find their dream home or sell their house to move into the next phase of their life gives her a great sense of satisfaction and fulfillment. 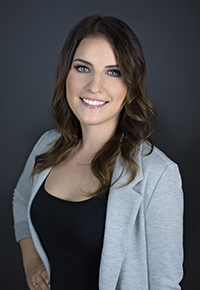 Upon graduating from Algonquin College’s business program, Brittany began her formal real estate career as an unlicensed assistant with a highly reputable real estate team. At the same time she went to work on completing the real estate courses required to become a fully licensed Ottawa Realtor. In her career to-date she has served as a new home sales representative and a buyer’s agent, in doing this she has sold a high volume of homes, while earning six awards in the process. Owner and principal Interior Designer at Interior Creations. 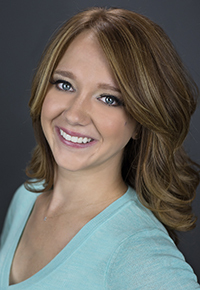 Lauren Paquette serves as the bteam’s interior designer, helping to stage homes so they move faster. Recognizing how crucial staging is, Lauren takes a fresh look at your home with an eye towards maximizing your home’s potential and value. Upon graduating the Interior Design Program with honours from the Humber Institute of Technology in Toronto, Lauren moved to Ottawa to begin her career as an Intern at a large International Engineering Firm. Here she was able to learn and build on her knowledge in Interior Design and gained an appreciation for designing cohesively with engineers and architects. A true understanding of safety, function and form was learned allowing interiors to not only look beautiful but to become safe, comfortable environments from the inside out. Lauren has successfully worked alongside clients, contractors, trades, manufacturers and representatives regarding all aspects of interiors for both residential and commercial designs. Started off as the Head Administrative Assistant with team. After working for the team for two years she has gotten her Licence and is now a fully licensed Realtor. Christine Ross thrives in the fast paced environment of real estate. Growing up in Ottawa, she was exposed to many of its diverse neighbourhoods and has witnessed many of the changes in the housing market. 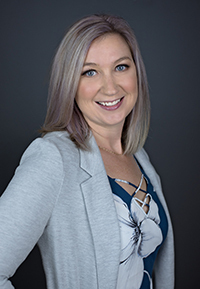 After graduating from Carleton University with a Bachelor of Arts, Christine began working with Progressive Waste Solutions where she worked in all areas of the company. She worked in operations, finance and customer service where she created an excellent relationship with her clients. Christine became enthralled in real estate soon after her family home of 16 years was put on the market. Watching her parents go through the buying and selling process with bteam, Christine realized she wanted to be a part of getting home buyers in to their dream homes. Christine’s expertise in customer service will allow her to flourish with the bteam.